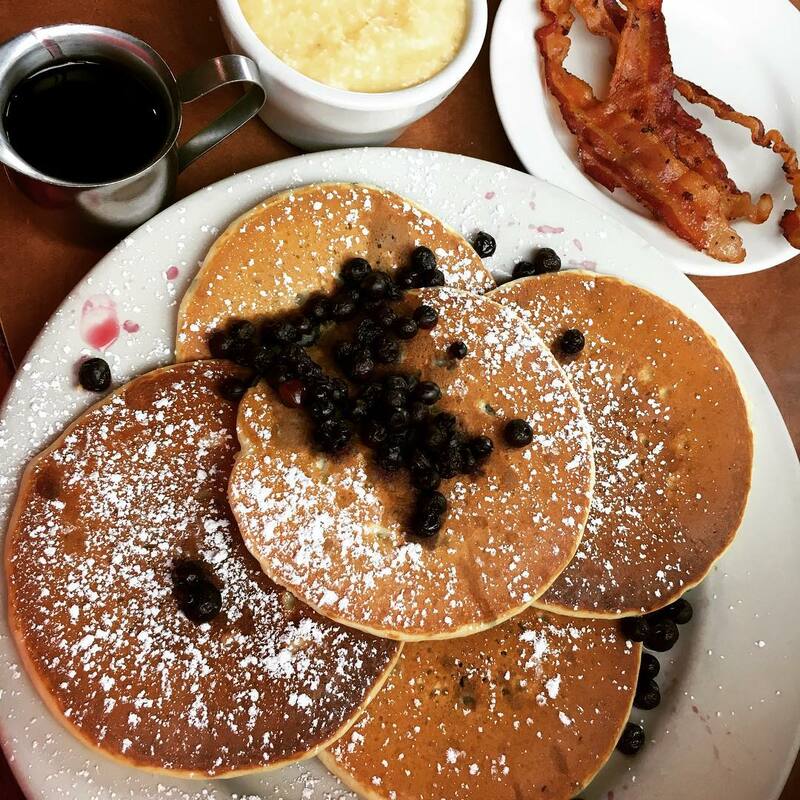 With all-day breakfast and a mouth-watering lunch menu, Sawyer's Farmhouse Restaurant will satisfy every appetite. 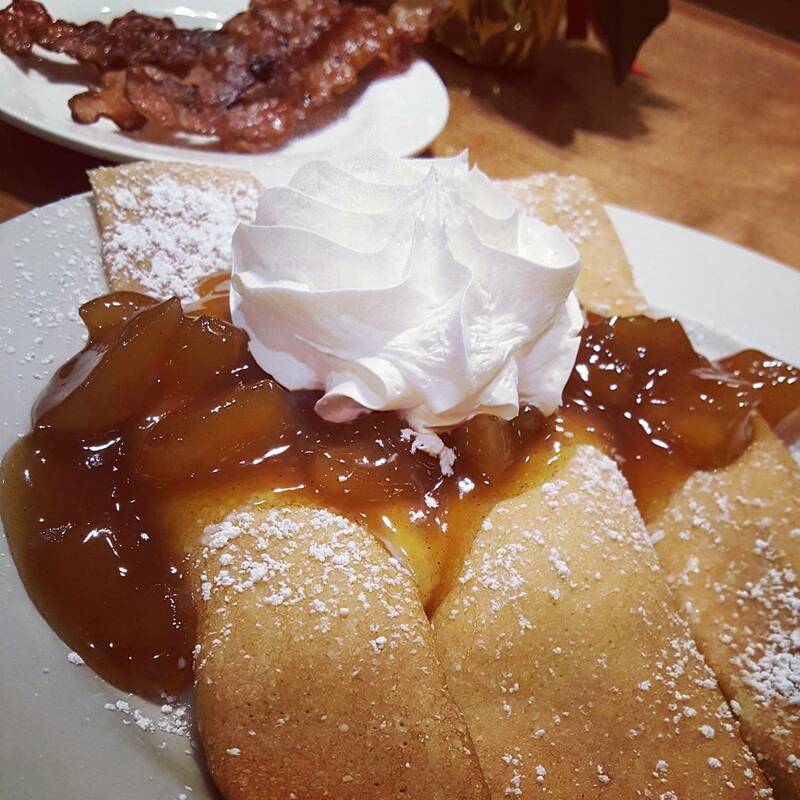 Whether you indulge in the made-from-scratch pancakes with freshly whipped butter, the Bananas Foster French Toast, or the Bacon Egg Cheeseburger, you'd better arrive hungry. 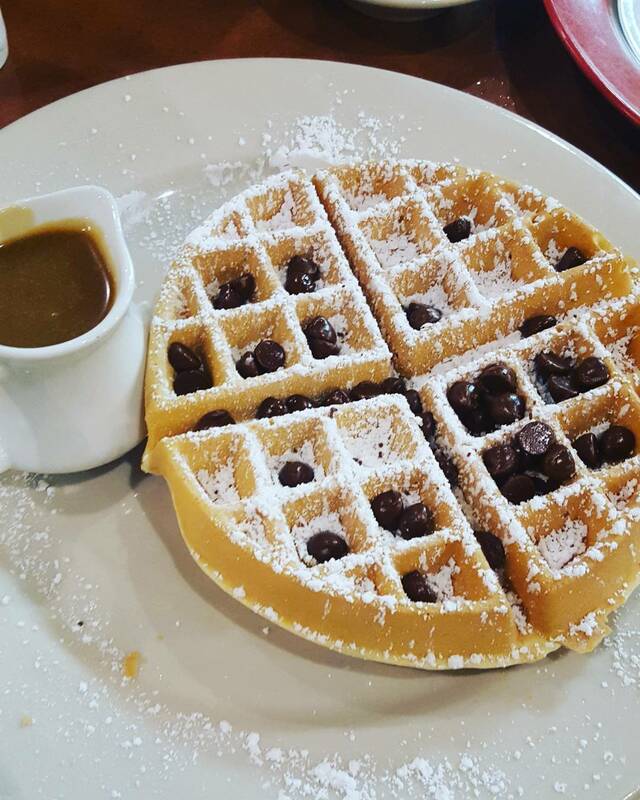 Breakfast might just be the most important meal of the day in the Great Smoky Mountains. 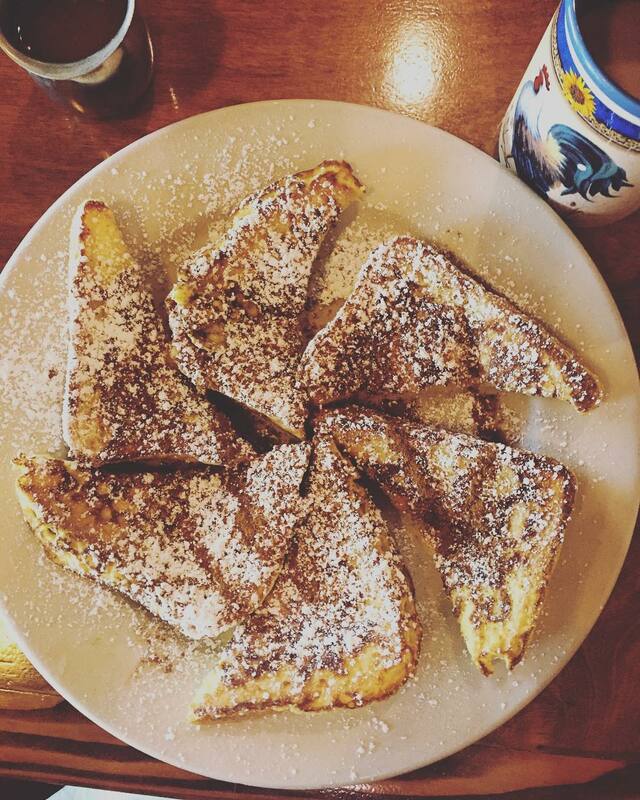 After all, you’re going to need some serious fuel for all those mountain hikes, theme park days, and brewery tours. 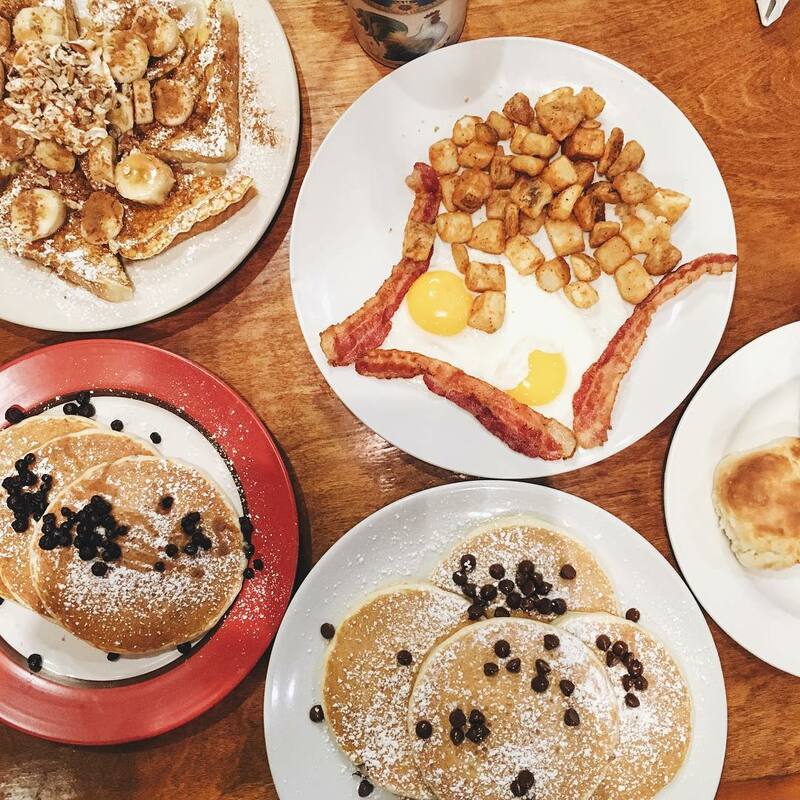 While you’ll find countless breakfast joints all throughout the Smokies, Pigeon Forge is home to one of the best in the region. 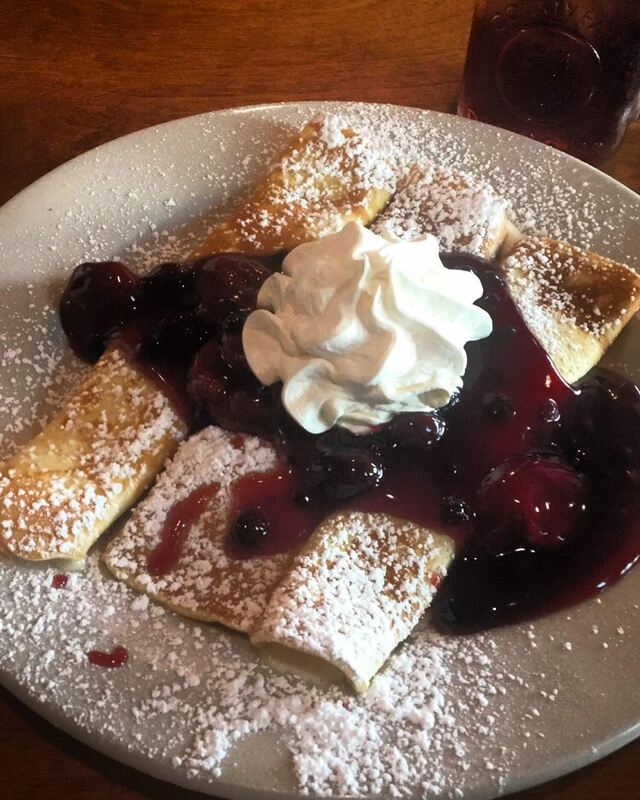 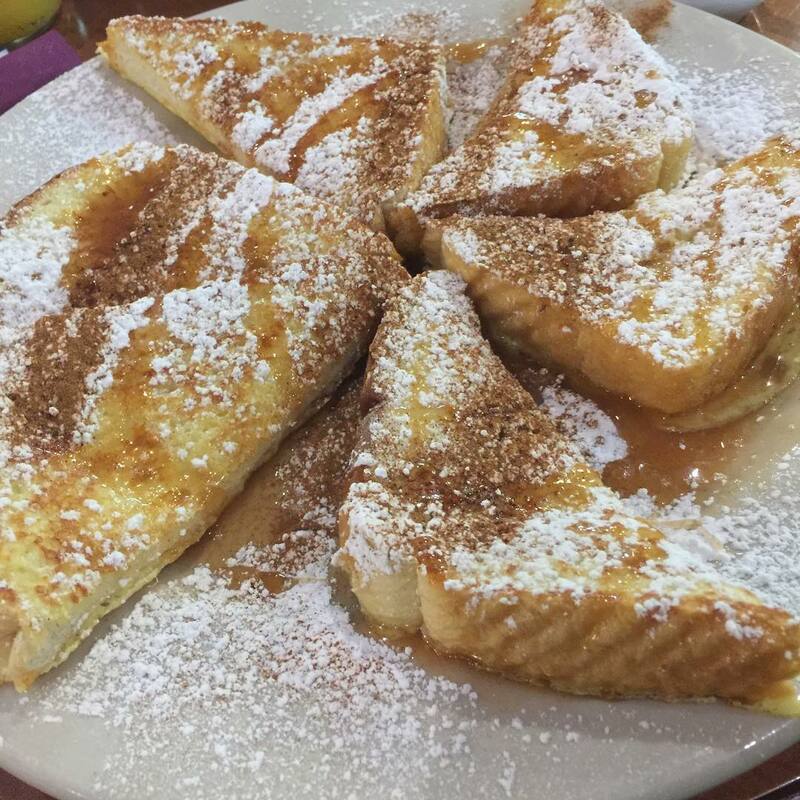 Known for its all-day breakfast, Sawyer’s Farmhouse Restaurant should be at the top of your must-try list. 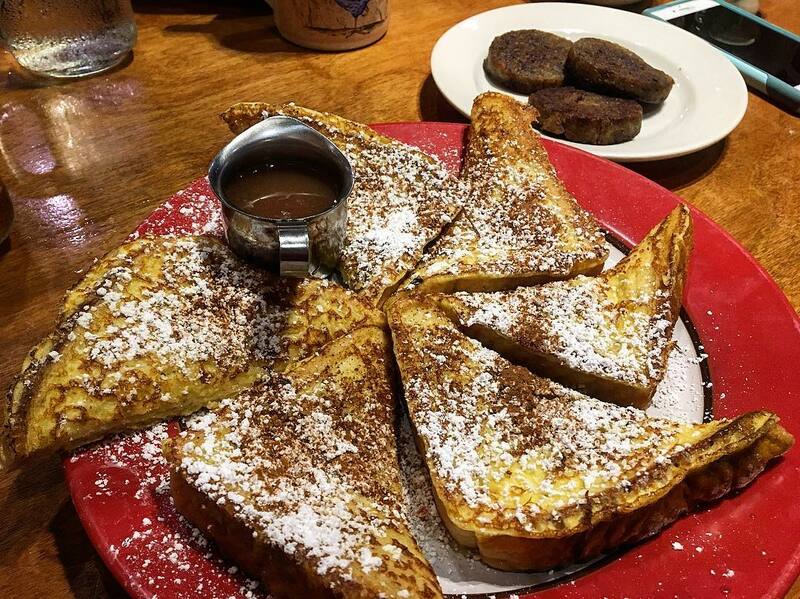 This cozy farmhouse restaurant isn’t even a decade old yet, which makes it a relative newcomer compared to many of its established neighbors on Pigeon Forge Parkway. 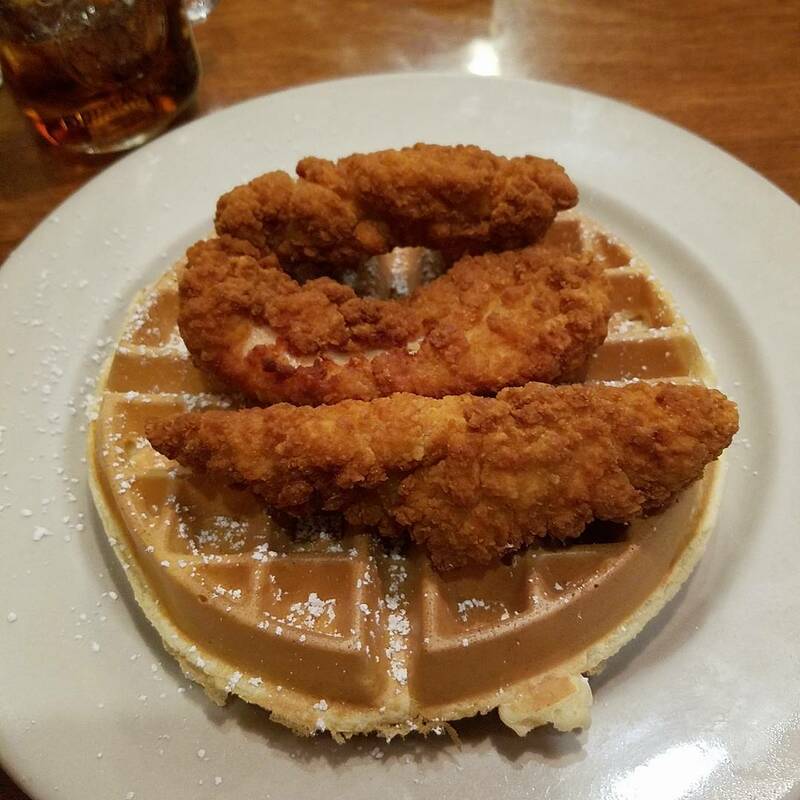 Sawyer’s Farmhouse Restaurant has made a name for itself quickly, though, as this locally owned and operated spot is already a favorite among visitors and residents alike. 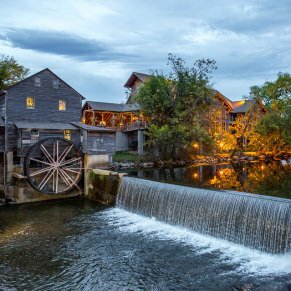 When you step inside, you’ll feel right at home, thanks to the inviting farmhouse decor and friendly staff. 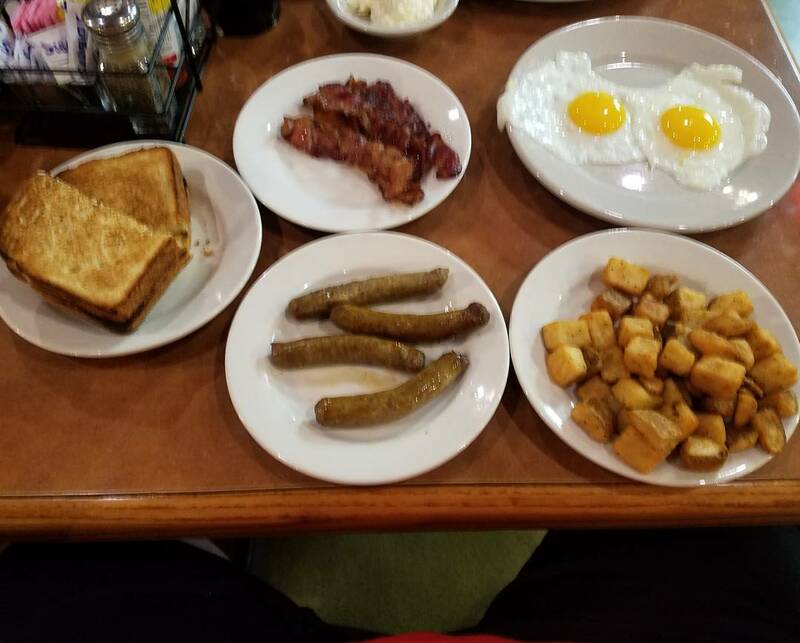 You may have to wait a bit for a table, especially if you arrive between 10 a.m. and noon, but you’ll be glad you did when you tuck into a hearty meal. 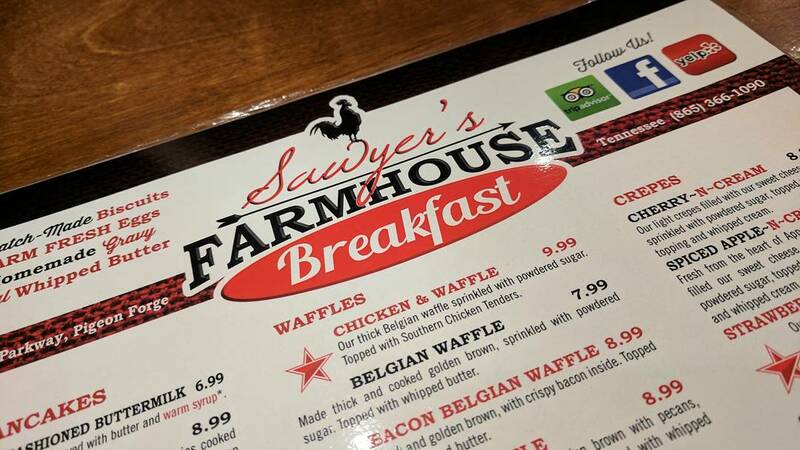 Open from 8 a.m. to 2 p.m. every day of the week, Sawyer’s Farmhouse Restaurant is strictly a breakfast and lunch joint. 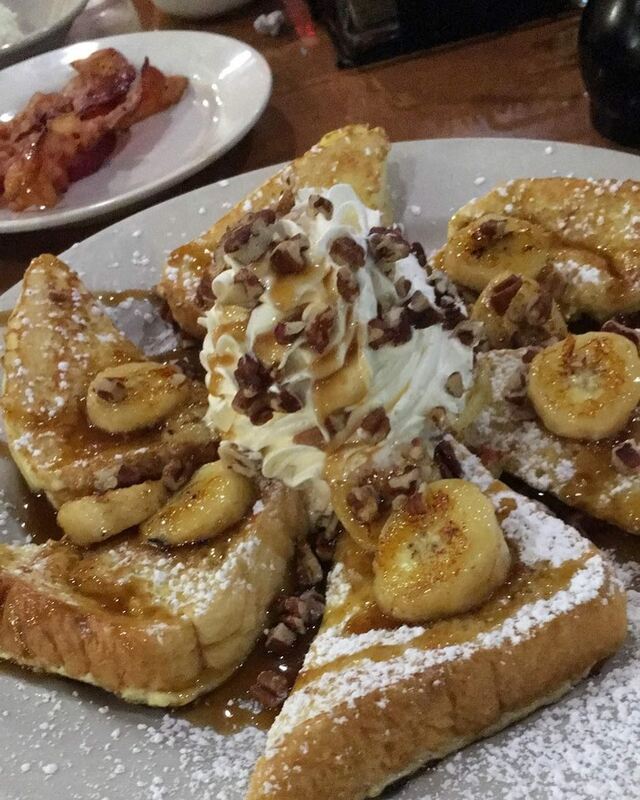 Breakfast is an all-day affair here and the most popular meal by far. 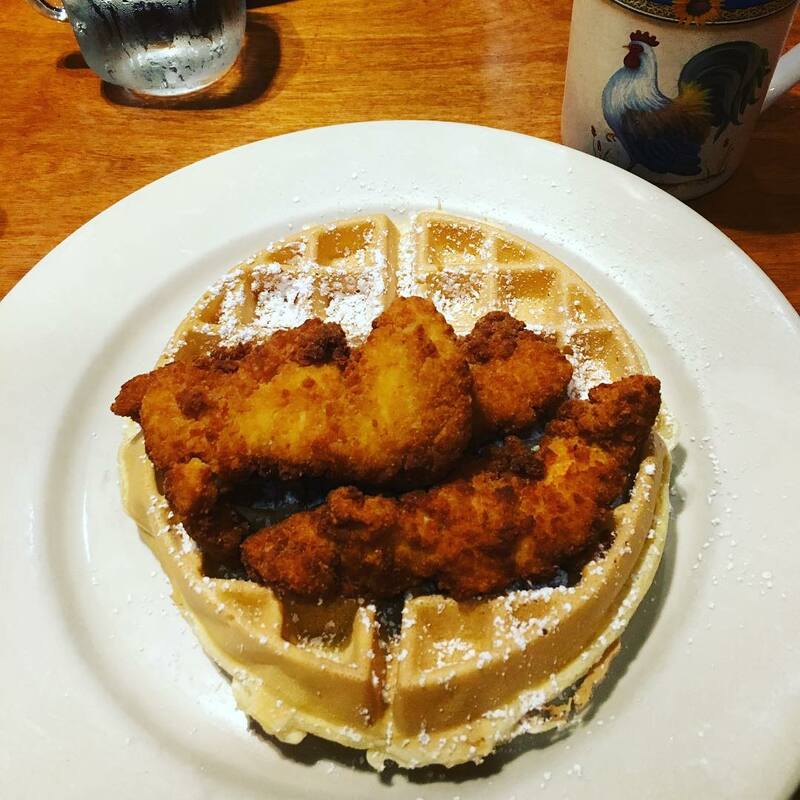 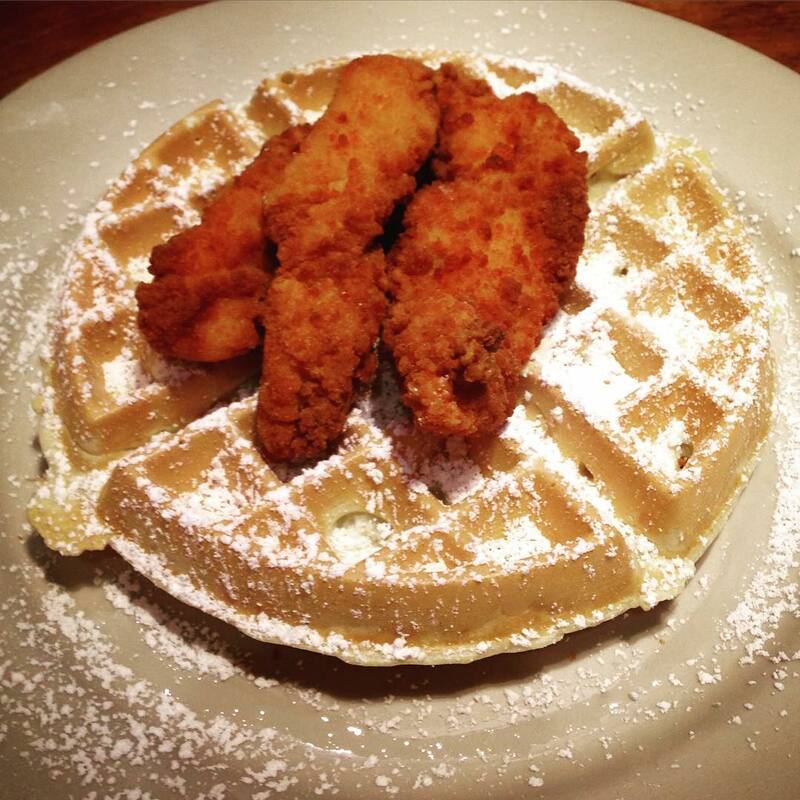 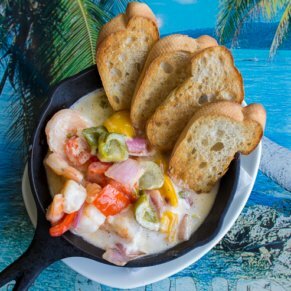 You’ll find everything from sweet to savory breakfast dishes, and everything boasts plenty of Southern flair. 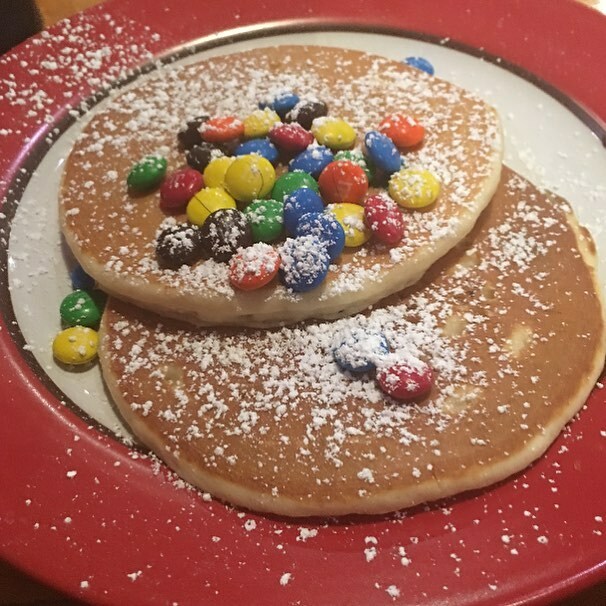 In the mood for some classic pancakes? 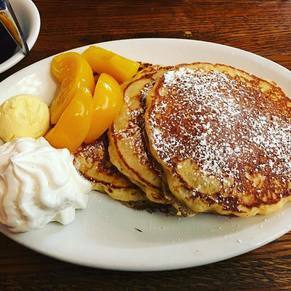 Sawyer’s will see your short stack and raise you freshly whipped butter and cinnamon cream syrup. 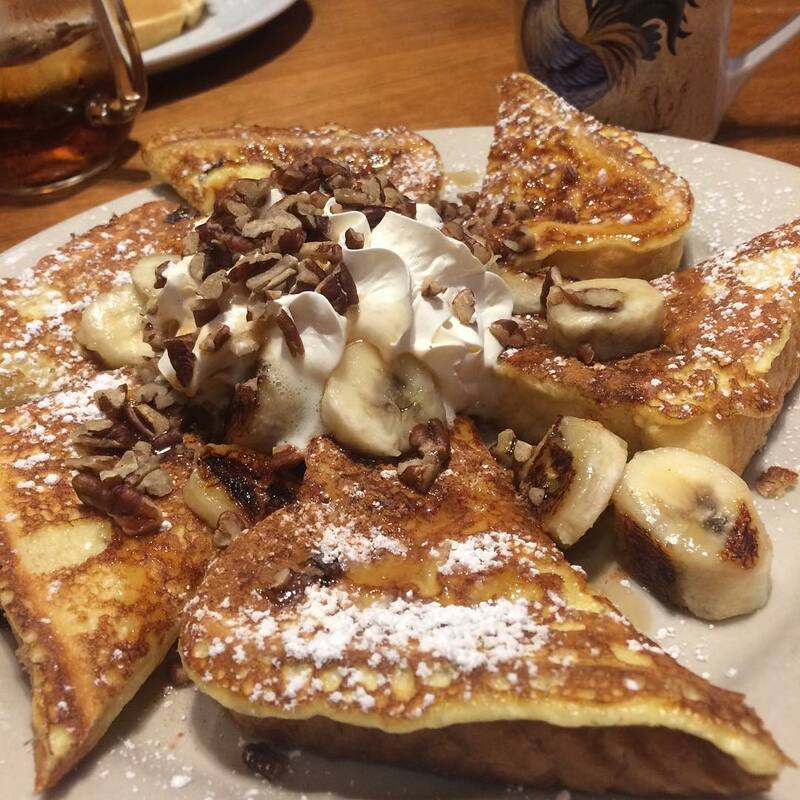 Feeling like an omelet? 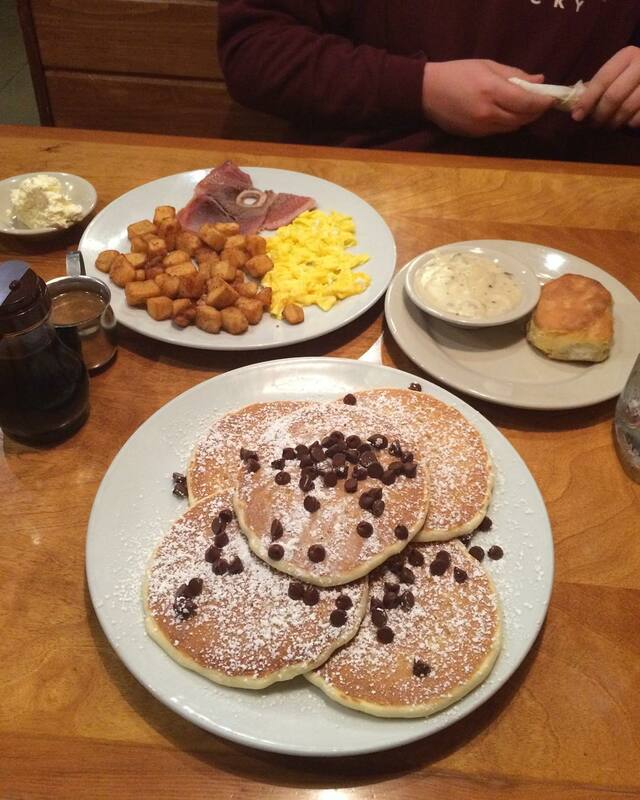 Add your pick of veggies, cheese, or sausage, and save room for some buttermilk pancakes on the side. 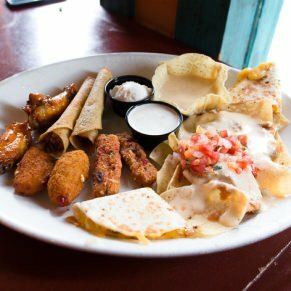 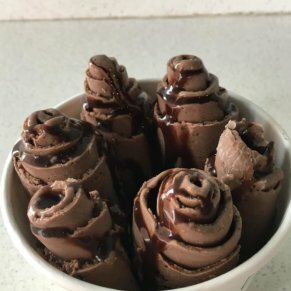 Of course, you’ll find a handful of lighter options on the menu here, too. 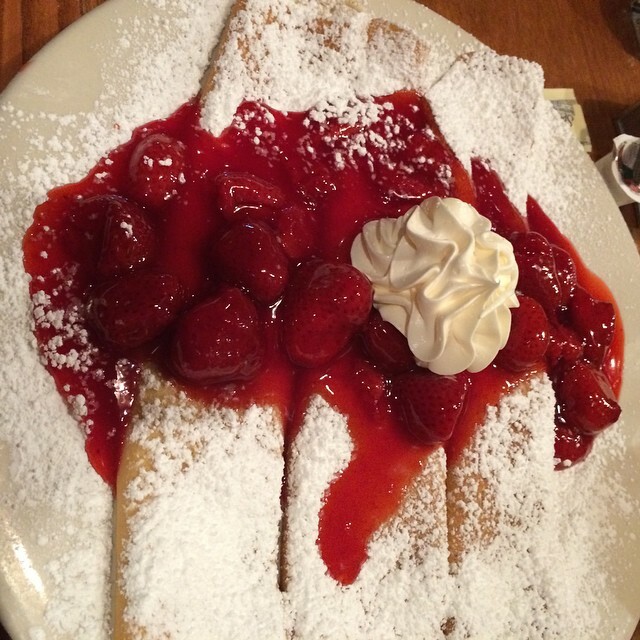 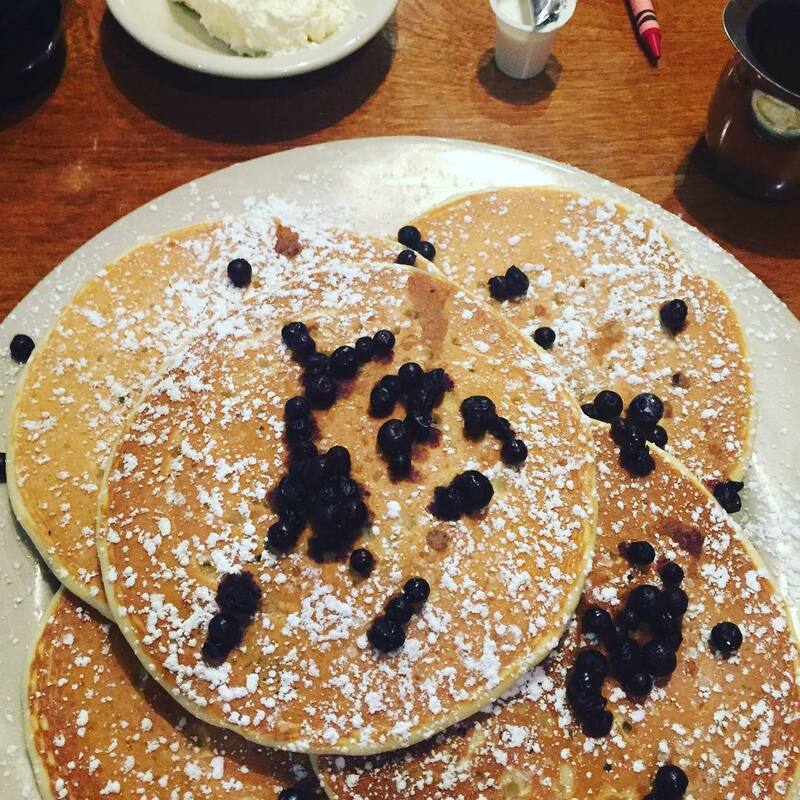 Try the Healthy Egg Breakfast or ask your friendly waitress about Sawyer’s gluten-free pancakes. 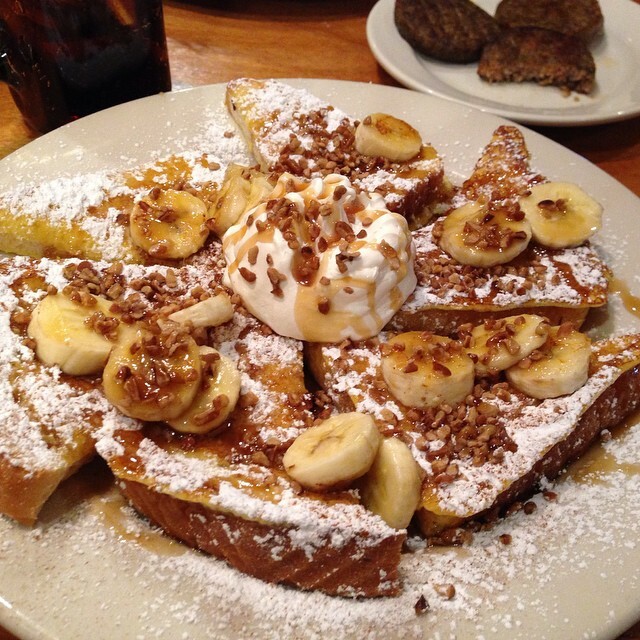 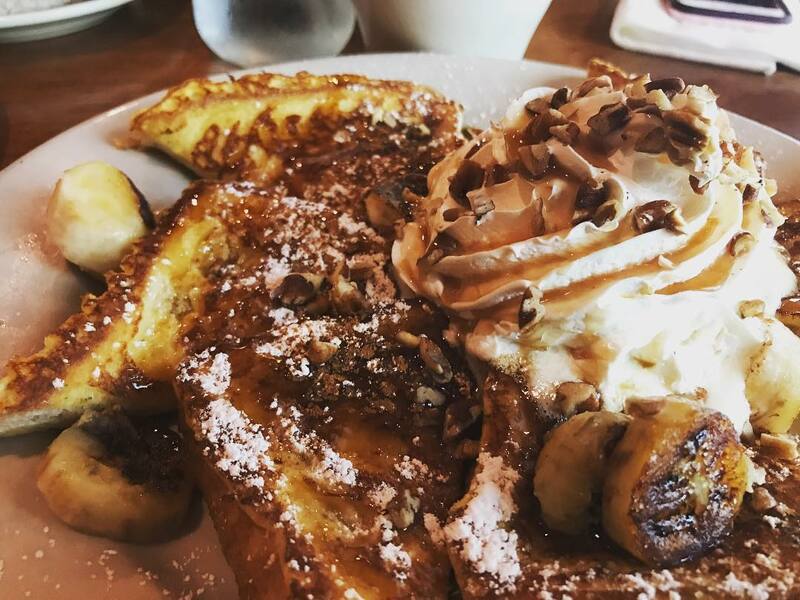 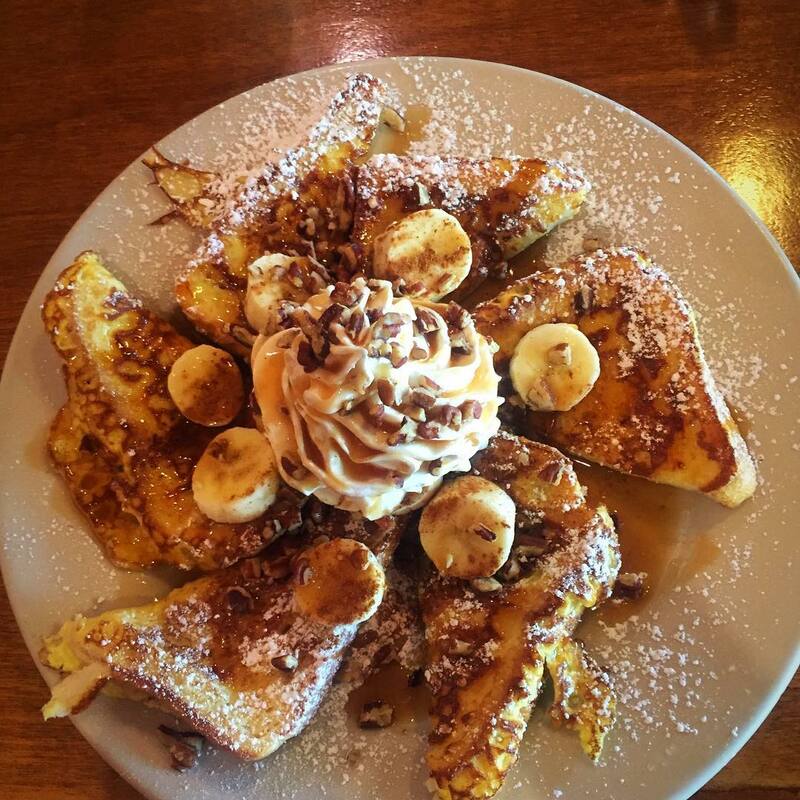 Bananas Foster French Toast: Have you actually had breakfast at Sawyer’s Farmhouse Restaurant if you haven’t tried the Bananas Foster French Toast? 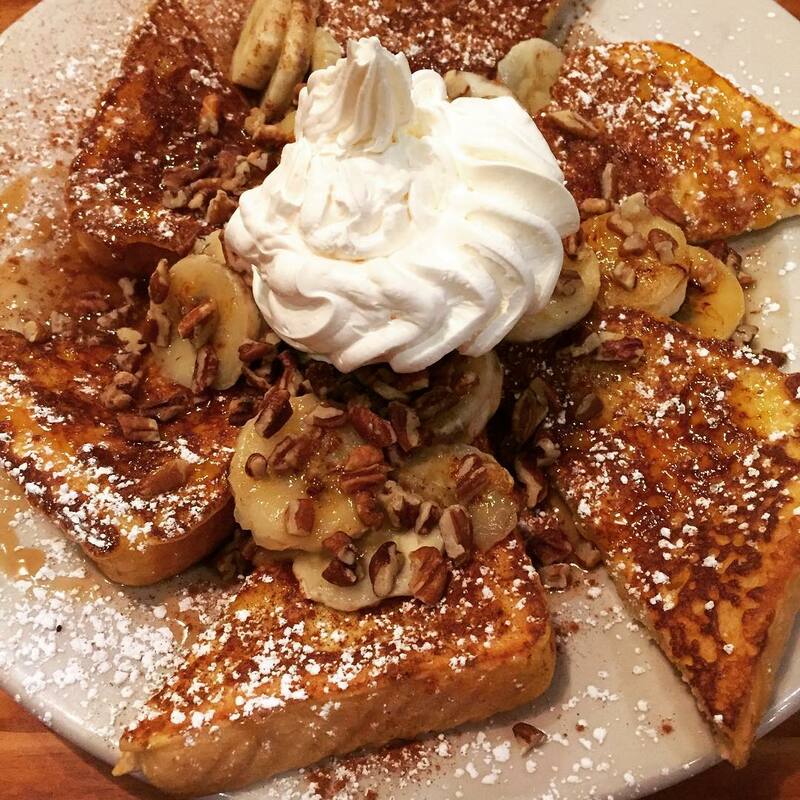 Perhaps the most popular breakfast dish, this indulgent meal features a generous portion of French toast topped with caramelized bananas and whipped butter. 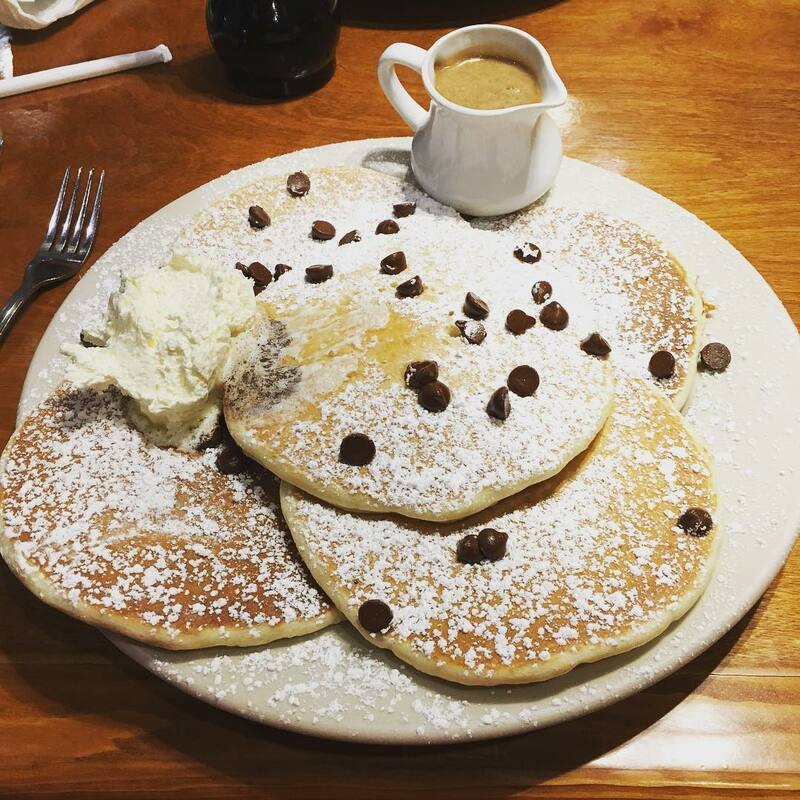 Chocolate Chip Pancakes: Prefer pancakes over French toast? 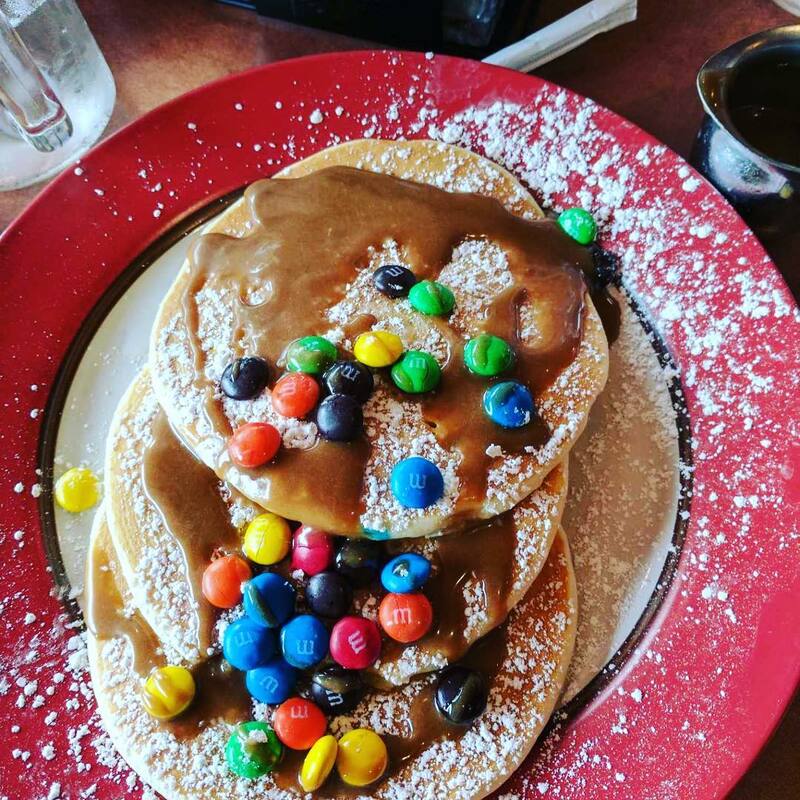 Kids and adults alike love the chocolate chip pancakes, especially with some of Sawyer’s special peanut butter syrup drizzled on top. 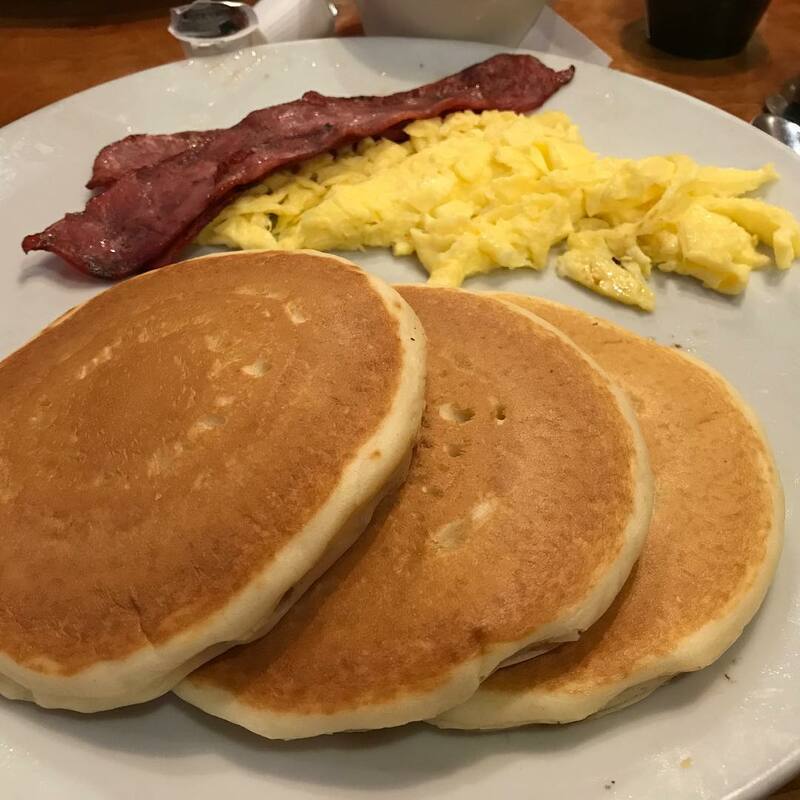 Corned Beef Hash: Want to get your day started with a savory dish? 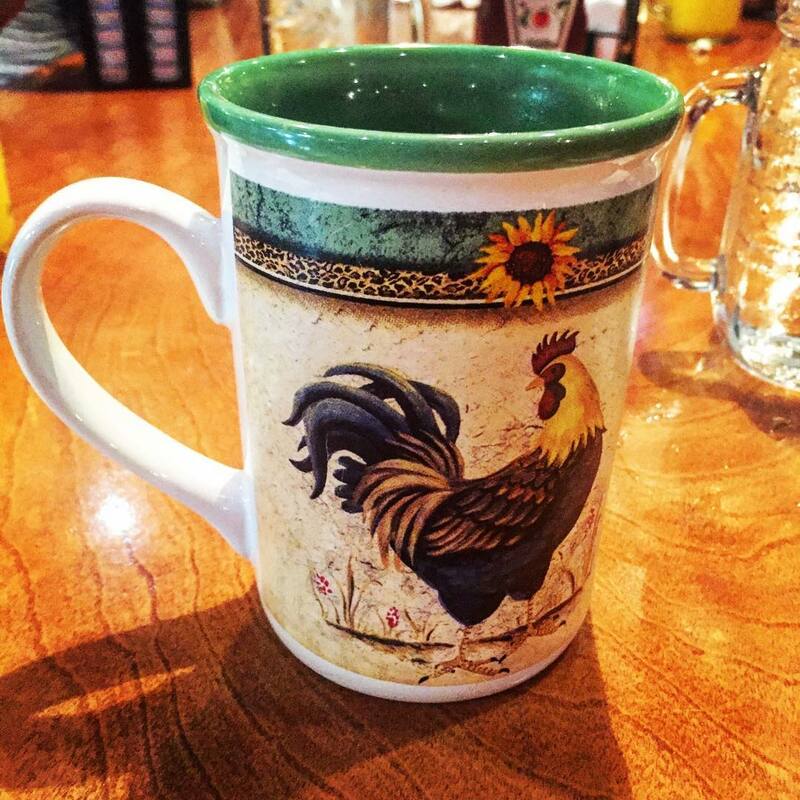 Don’t miss the corned beef hash and eggs with a bottomless cup of coffee. 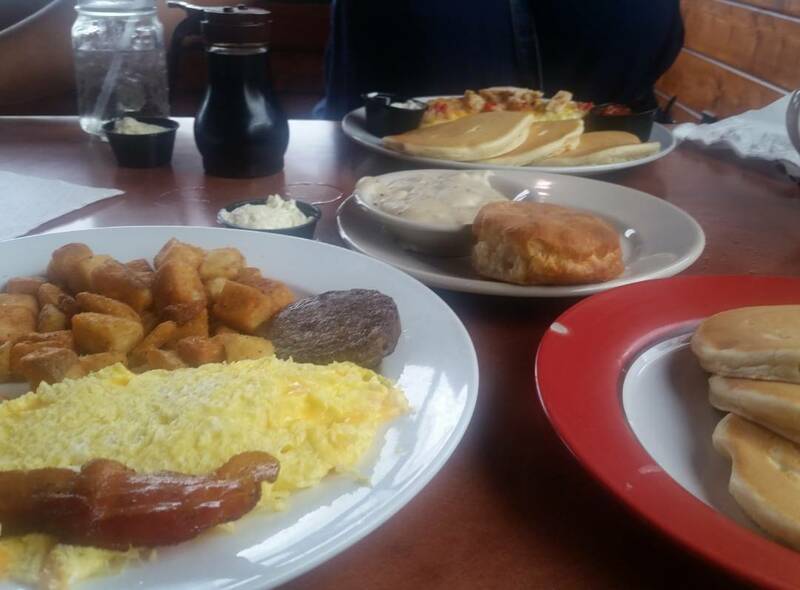 Mountain Man: Need a hearty meal to get you going? 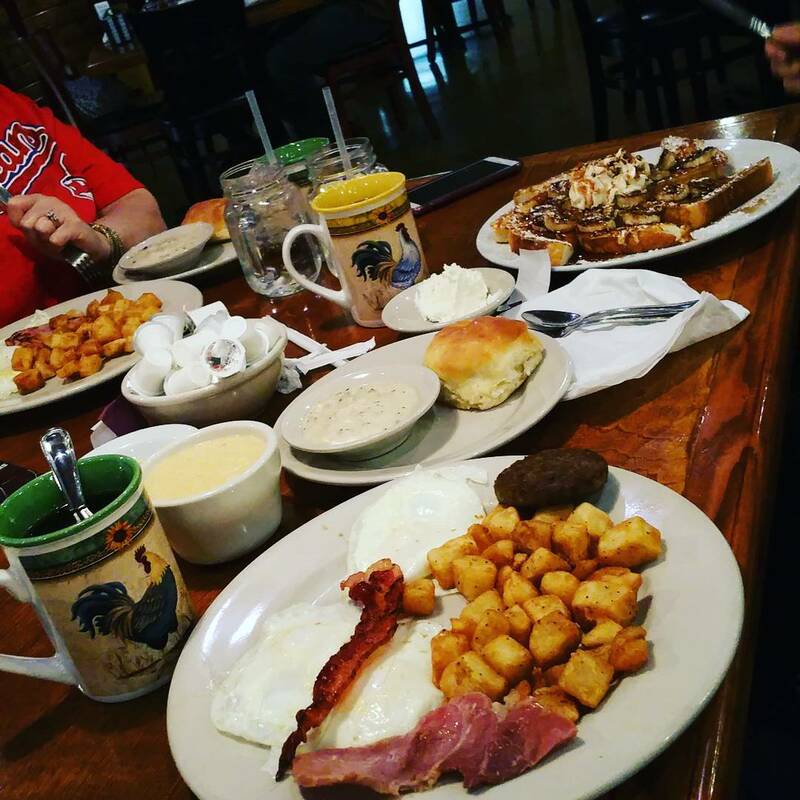 Try the Sawyer Mountain Man, an overloaded plate packed with three eggs, home fries, a biscuit and gravy, sausage, ham, bacon, and three buttermilk pancakes. 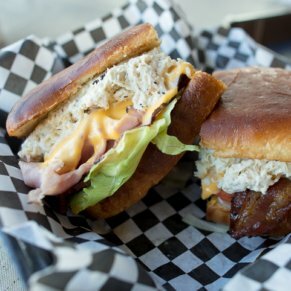 Bacon Egg Cheeseburger: Why order a basic burger when you can top it with bacon, egg, and cheese? 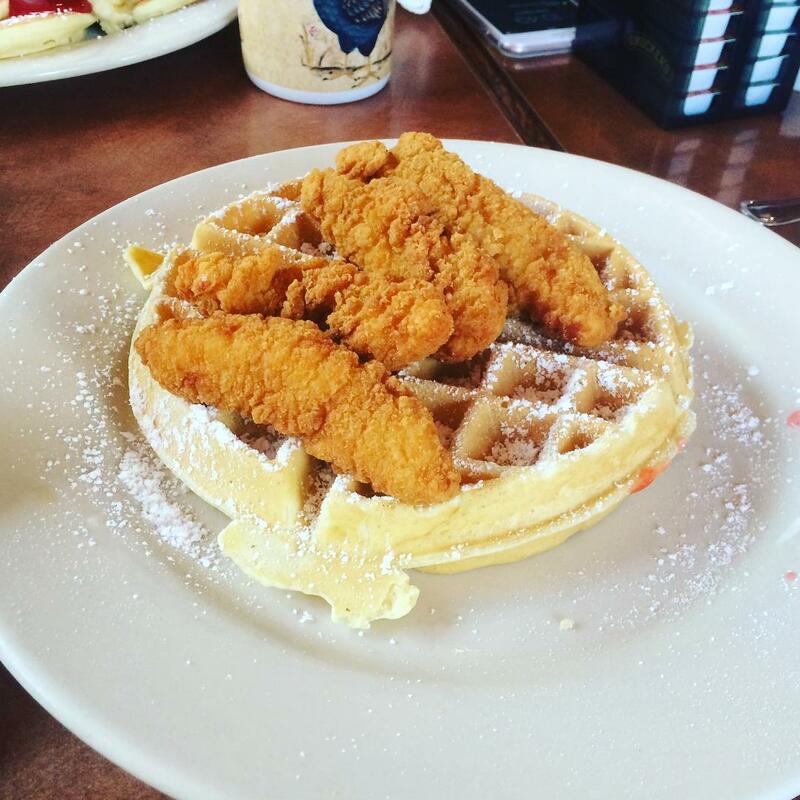 This breakfast-lunch hybrid is sure to satisfy, especially with a side of curly fries. 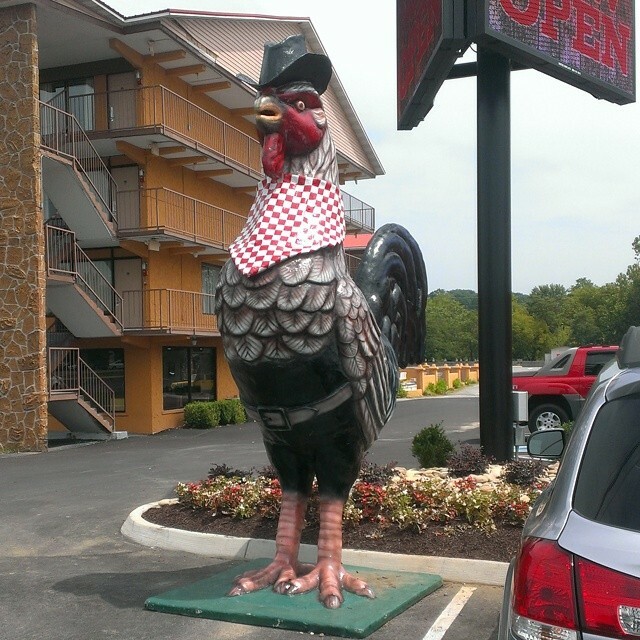 Keep in mind that traffic can get tricky on the Pigeon Forge Parkway. 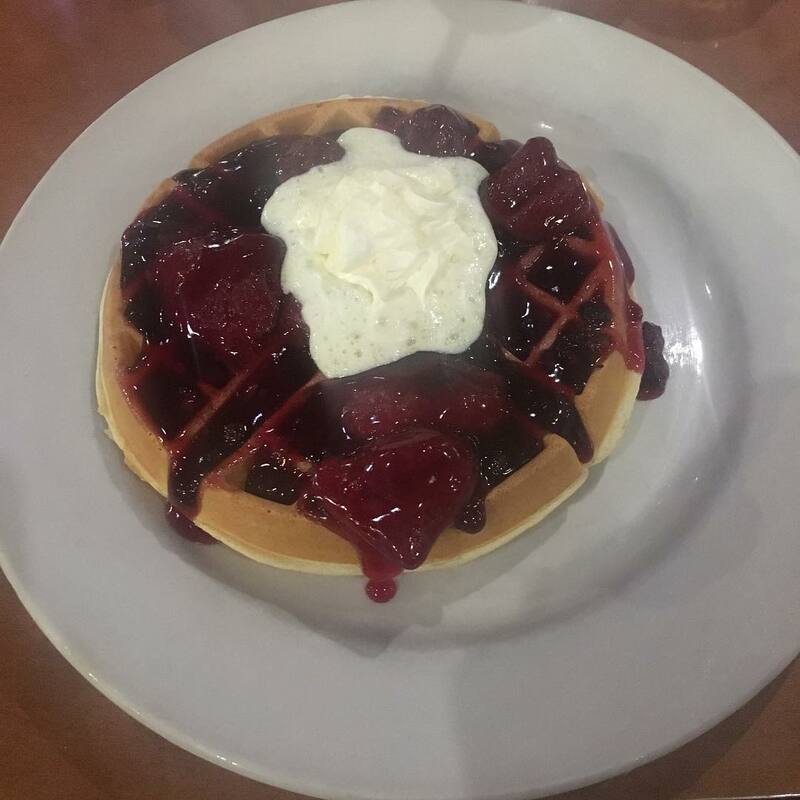 While Sawyer’s Farmhouse Restaurant has a parking lot, that doesn’t mean you have to drive to your breakfast. 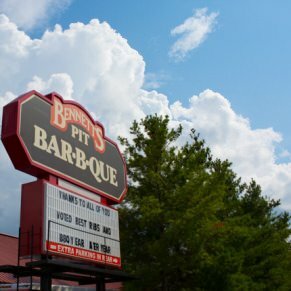 Save yourself the hassle of driving and take the Fun Time Trolley’s North Parkway instead. 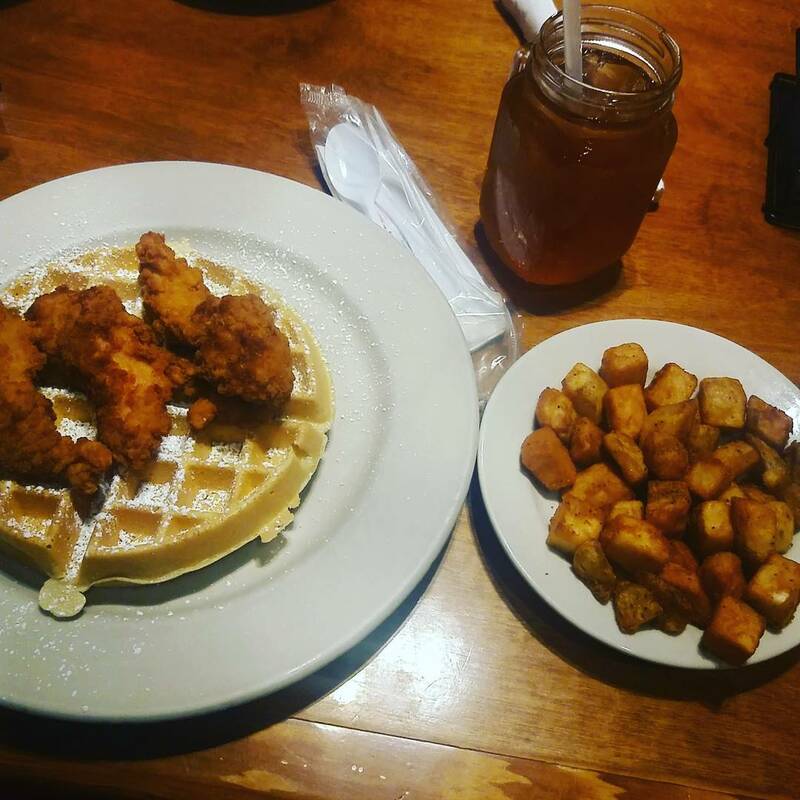 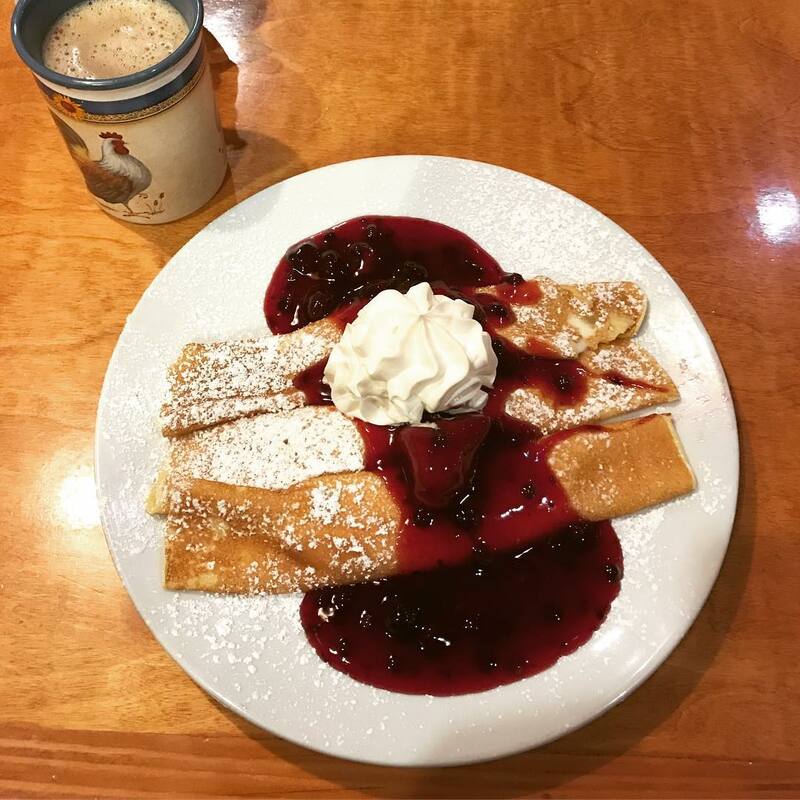 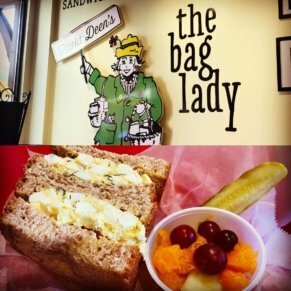 This breakfast and lunch spot is located between traffic lights three and four, just minutes from the heart of Pigeon Forge. 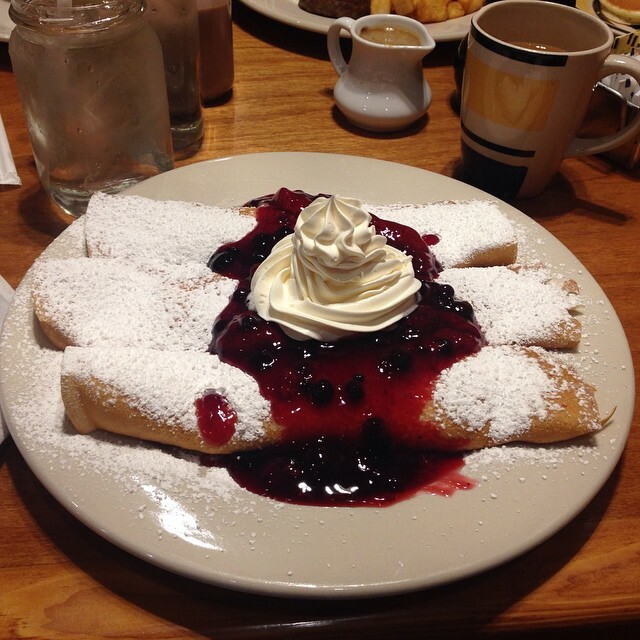 Don’t dally if you want to dig in to the all-day breakfast at Sawyer’s Farmhouse Restaurant. 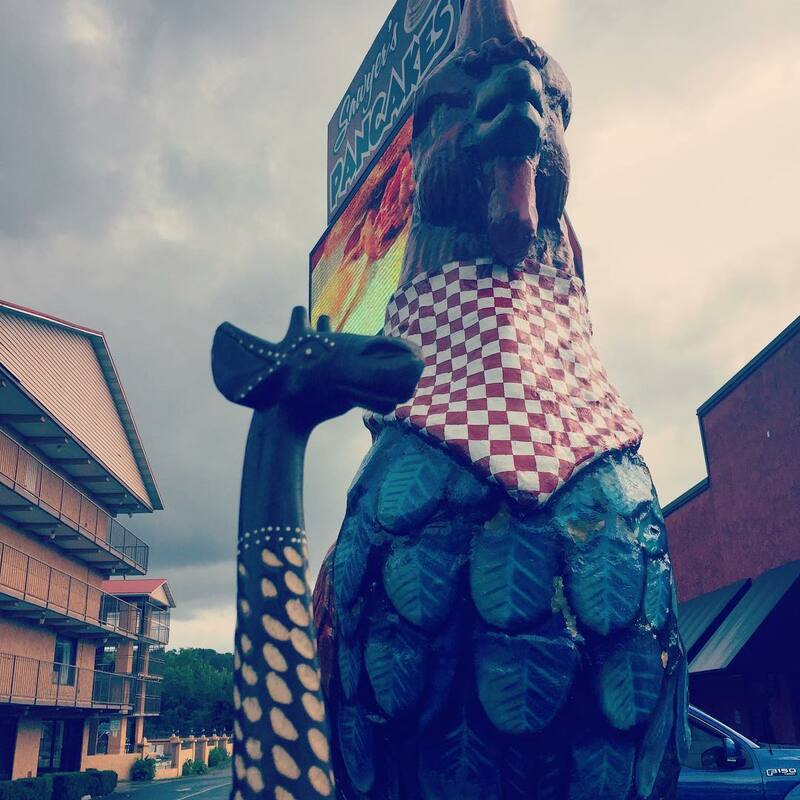 This Pigeon Forge hotspot is open till 2 p.m. every day of the week, but you may not get a table if you arrive after 1:30 p.m.